When you are moving a long distance to a new home and province, it is important to find a moving company that you can trust; a company you can call and talk to. 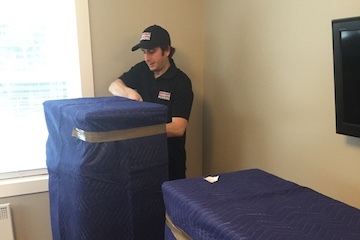 Affordable Canadian Movers was established out of the need for a more personalized moving experience, especially for long distance moves. We care so much about the job from start to finish, in fact, you will deal personally with one of the owners of the company from the time you call until the last box in unloaded. Disassembly and Reassembly of beds, mirrors and shelving. 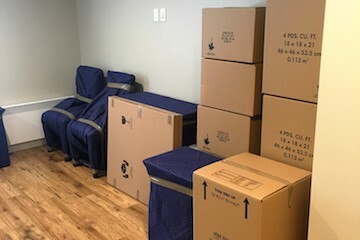 Your long distance moving quote will be based on the unique needs of your move depending on services and materials that are required to meet those needs. Packing – We can pack as much or as little as you would like. From our full service option, all the way to our breakables and fragile items only option. Storage – Sometimes delays can happen from a few hours to a few months when it comes to buying or building a new home. Our storage options can provide piece of mind that your belongings are safe and secure. Crating – High value items such as artwork, electronic equipment or delicate collectibles may need some added attention. Our custom crating can ensure those treasured pieces make it safely to your new home. Long distance moving is charged based on the weight of your belongings or can be a flat rate charge. Please click on our free estimate calculator to get started on your best move yet.